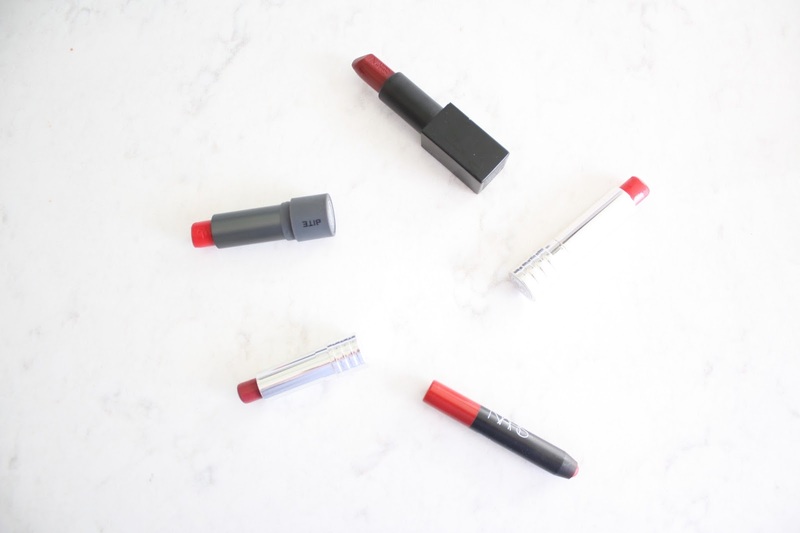 If you know me, you know I am all about a good red lip! There is nothing that represents confidence, femininity, and timeless beauty quite as well as the perfect shade of red. 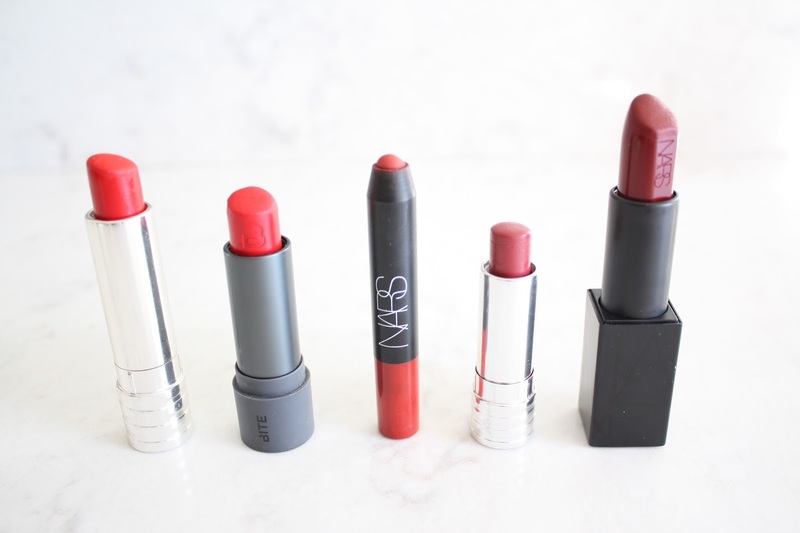 A bold red lip is a statement that always makes me feel put-together and is the perfect finishing touch to any outfit. 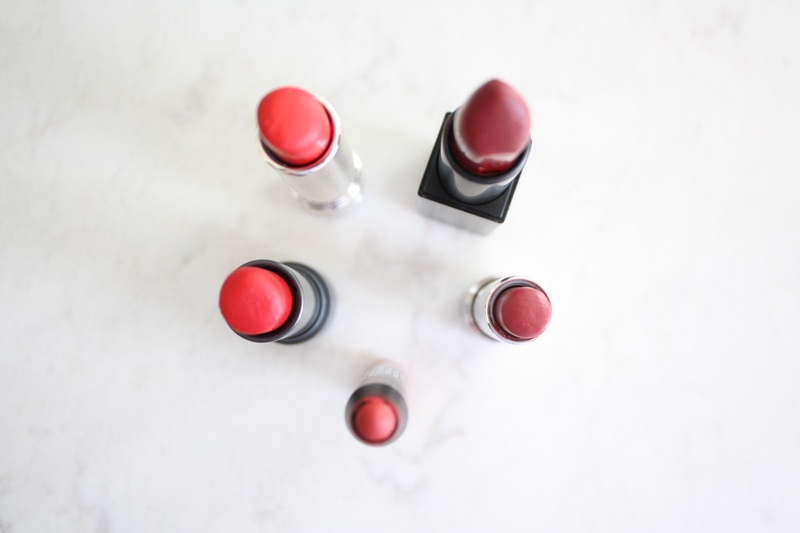 I particularly love red lipstick during the autumn months and especially around the holidays! It's so festive, and puts you in the holiday spirit that much more! Since we are in full blown fall, with Thanksgiving next week and the holidays right around the corner, I wanted to share with you some of my favorite reds! My absolute go-to for a red lip is Clinique's long-last soft matte lipstick in crimson. It is a vibrant, classic red that is perfect for any occasion requiring a bold red lip. Seriously the best! 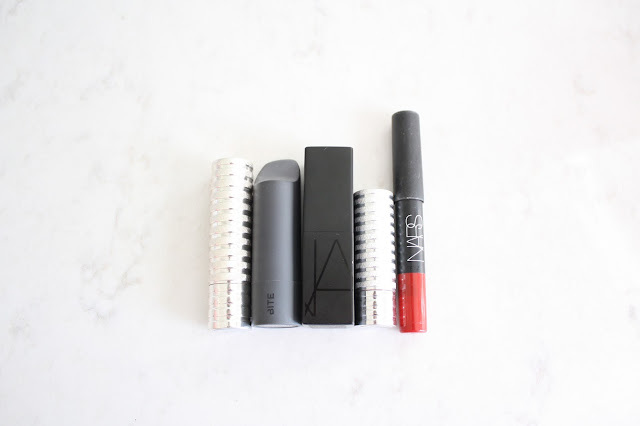 The NARS Velvet Matte Lipstick Pencil in Cruella is another favorite, and is a solid choice if you are looking for a true red. Perfect for any and all holiday parties this season! 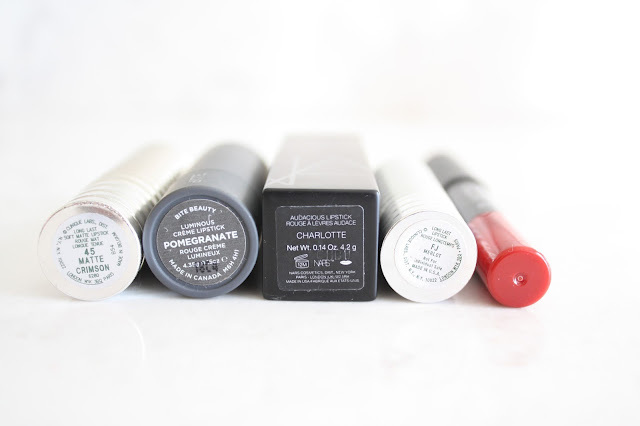 I am bummed because Bite Beauty used to make a shade of red called 'pomegranate' and it seems they no longer do, so I can't link it. However, they do make some other beautiful shades of red. 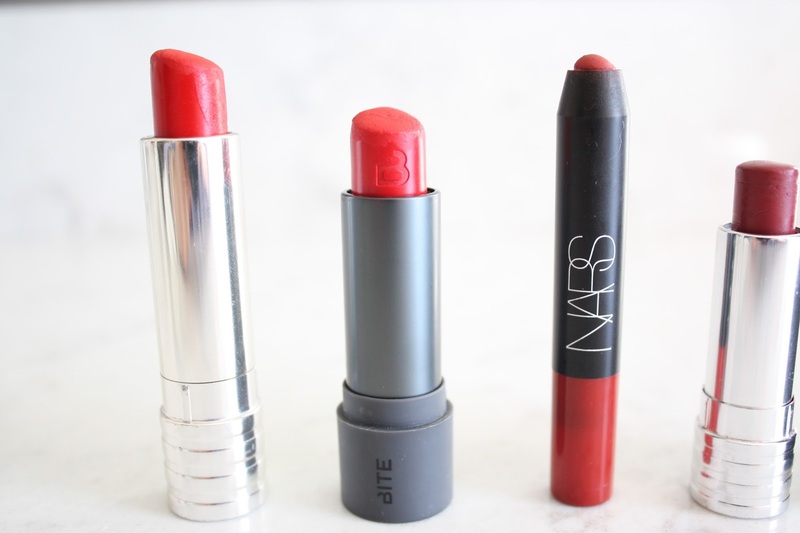 I love their Amuse Bouche Lipstick in cayenne and persimmon. When I'm not reaching for a vibrant true red, my other favorite shades of red fall into the wine family. 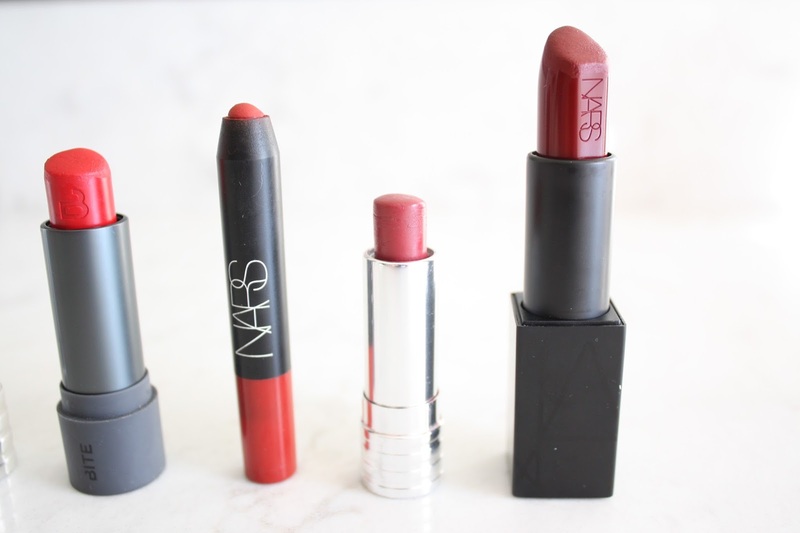 I shared the NARS Audacious Lipstick in Charlotte a few weeks ago, which is such a pretty oxblood burgundy, and is so flattering. I love love love it and have found myself gravitating towards it so much these days! Another longtime favorite of mine is Clinique's Long Last Lipstick in Merlot. As the name suggests, it's a deep, richer shade of red - just lovely!